Mark Lazarowicz MP with the Edinburgh workshop participants. "I came along to find out more about the opportunities available and get some help on how to write a CV and prepare for interviews." 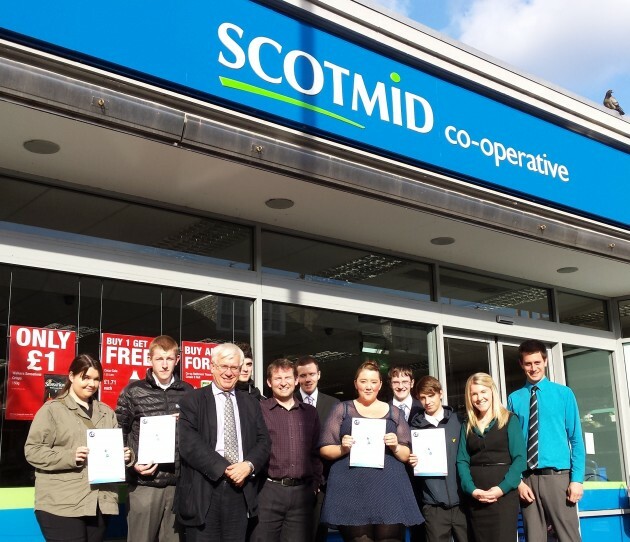 Scotmid Co-operative has provided a series of skills training workshops across Scotland to help tackle youth unemployment, as part of a nationwide initiative by the food and grocery industry. The Feeding Britain’s Future campaign is aimed at helping young unemployed people gain the skills they need to get back into work. Scotmid delivered the employment workshops to 20 young people at its stores in Edinburgh, Uddingston and Inverness during September and October. The workshops gave participants the opportunity to improve their CV, learn and practice their interview skills, and receive help on completing job application forms. 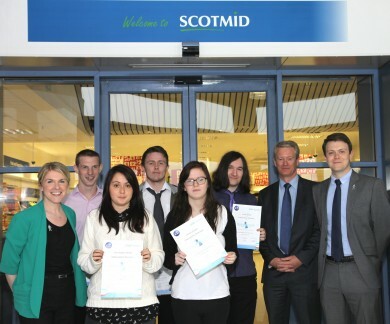 Scotmid also provided advice and support to help the participants gain future employment. As well as help with employability skills, participants had the chance to speak to staff, hear from local suppliers, tour the store and warehouse to see how the business is run, and find out about the wide range of careers available. Candidates may now be considered for future work experience placements with Scotmid or one of the retailer’s local suppliers. Participants took part in skills training. 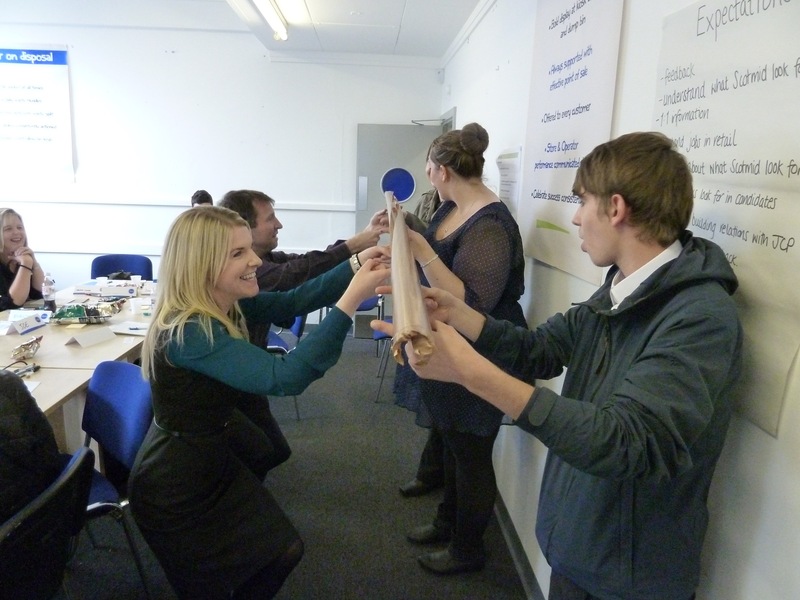 100% of the young people who took part in Scotmid’s workshops said they felt more confident about applying for a job, while 100% also said they were more like to consider a job in the food and grocery industry. Scotmid also held the employment workshop in Uddingston. Feeding Britain’s Future, led by research charity IGD, is the first initiative of its kind, giving young people access to farms, factories and stores, and firsthand knowledge of the skills needed for a career in the food industry or elsewhere. In total, 190 companies around the country came together to help tackle youth unemployment in 1,200 locations.